Anthony Johnson has been extremely critical of his former Blackzilian teammate Alistair Overeem, Johnson has told several stories of Overeem injuring training partners unnecessarily by going too hard in training. When asked if he would fight Overeem, Johnson said that he had no problem fighting ‘The Reem’. Shortly after that interview, Overeem was KO’d by Ben Rothwell in the first round of their UFC Fight Night co-main event bout, leaving many fans to question if Overeem should drop to light heavyweight, the division Johnson fights for. 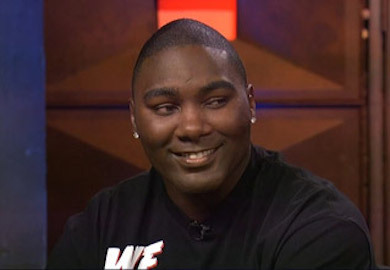 Anthony Johnson joined Ariel Helwani on The MMA Hour to expand on his desire to fight Overeem. Do you want to see this fight happen?